We’ve tried to lay this out step by step to make it as easy as possible for you guys. You can literally have a custom mask designed and shipped within a couple days of contacting us. Keep in mind that this is not a full mask wrap. 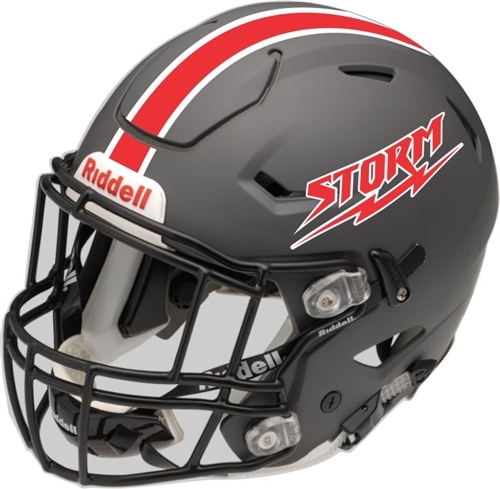 If you have a mask that has stock designs or it has been air brushed already, make sure to let us know. This way we can see if this option will work for you. *WHEN ADDING A NUMBER, SELECT BEFORE CHECKOUT. IF YOUR NUMBER IS (30) SELECT FIRST NUMBER (3) SECOND NUMBER (0). IF YOUR NUMBER IS (1), SELECT (0) AS THE FIRST NUMBER AND (1) AS THE SECOND NUMBER. sEND US A COLOR SCHEME THIS CAN BE ANY COLOR SCHEME. YOU DON’T HAVE TO SEND US A PICTURE OF THE COLORS, BUT YOU CAN IF YOU WANT. wE WILL ALSO NEED TO KNOW THE COLOR OF YOUR GOALIE MASK. Here at Custom Cages, we believe everybody should be able to afford their own custom designed goalie mask. We also understand that wrapping a goalie mask can cost hundreds of dollars, and getting a custom paint job can cost thousands. As cool as it is, not everybody can afford these options. 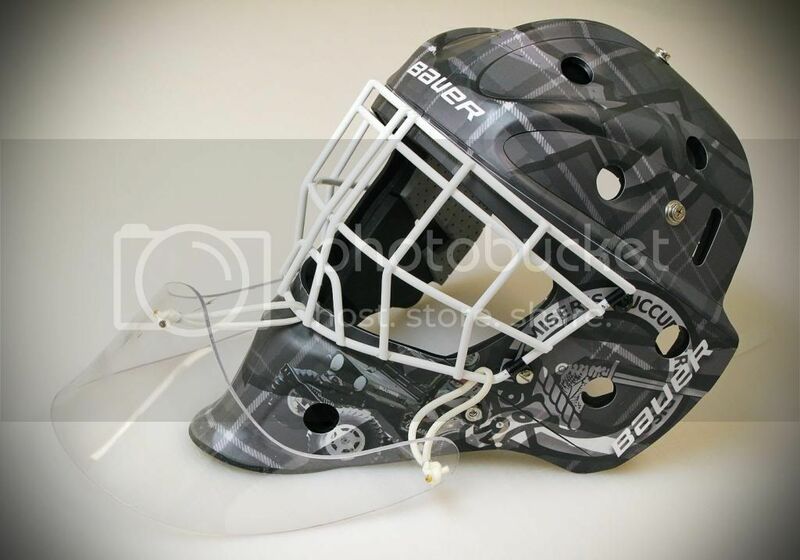 We specialize in custom vinyl decals for most of the name brand goalie masks on the market. 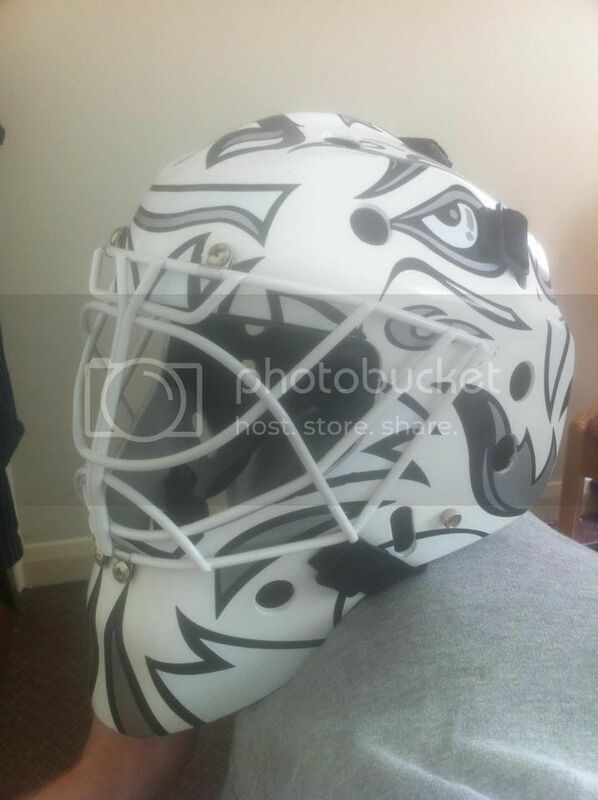 Vinyl decals are stickers that are designed to stretch and stick to any goalie mask, giving it that airbrushed look. Starting at just $30 CAD, you can add confidence to your hockey game with one of our goalie mask vinyl decal sets. They come in a variety of templates, colours and numbers to match your hockey equipment and jersey. The decals are printed on a non-permanent vinyl, so you can easily replace the design whenever you want. 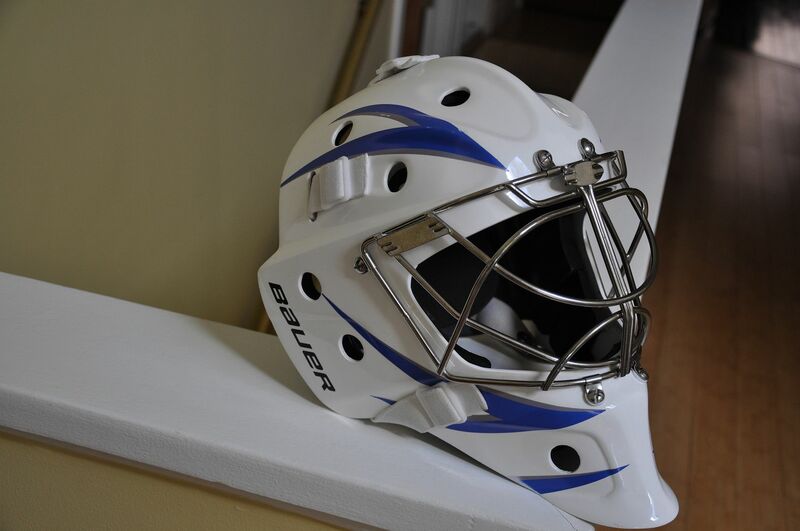 Our goalie mask decal kits are perfect for any age hockey player. They even look great on old street hockey masks. They are printed onto a semi-gloss vinyl, which is easy to handle. 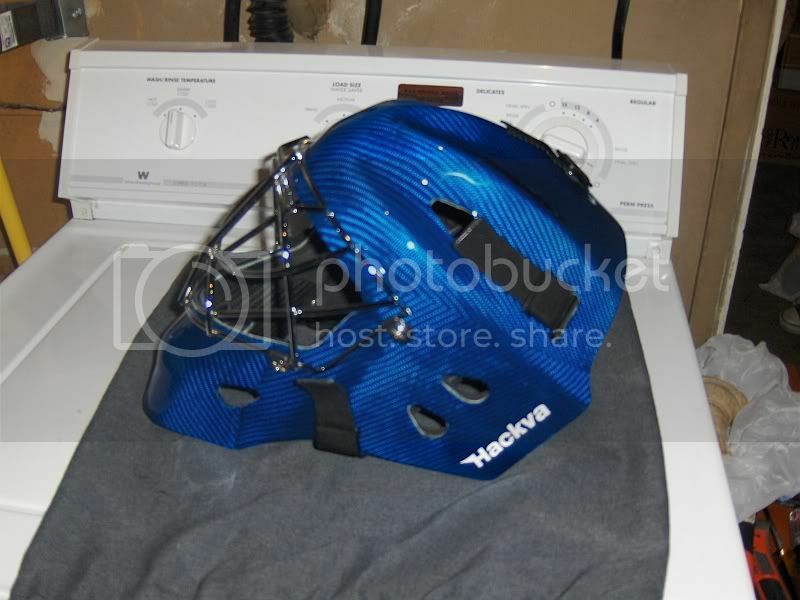 The mask designs are intricate and give any goalie helmet that professional and eye popping look. When it comes to hockey, especially goalies, I think we can all agree that the equipment is expensive enough. Before you spend your hard earned money on vinyl wraps and airbrushing, why not try us first. We wont make you wait months to book an appointment and we won’t wrap it in something permanent that won’t come off. Surprise your son or daughter for their birthday or your dad who plays in the local beer hockey league. 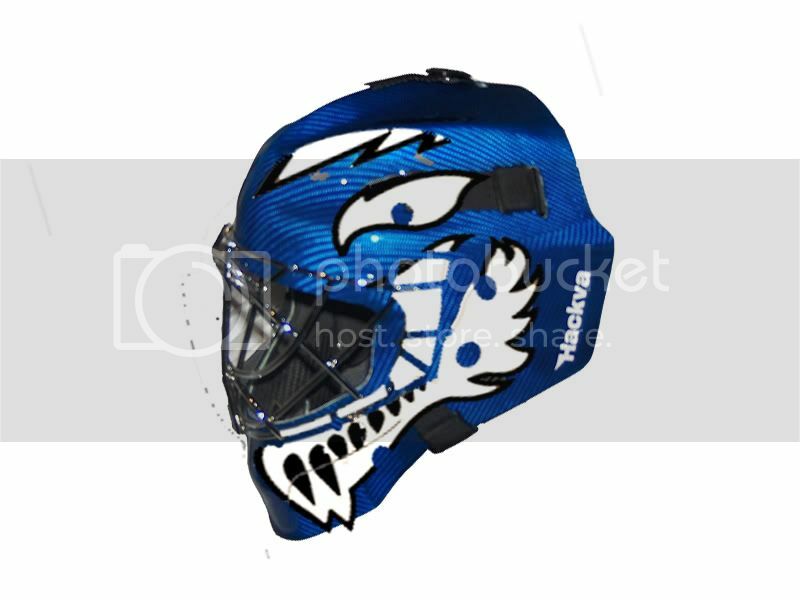 Custom Cages goalie mask designs look great on any hockey mask. SEND US A LOGO tHIS CAN BE A TEAM LOGO, GRAPHIC OR SOMETHING YOU HAVE DESIGNED YOURSELF ON YOUR COMPUTER. aS LONG AS IT IS OF DECENT QUALITY WE CAN INTEGRATE IT. iT DOESN’T HAVE TO BE THE COLOR YOUR LOOKING FOR EITHER, WE CAN CHANGE THAT ON OUR END. Pick a template the templates are located at the bottom of the page. We are going to pick template #6 in black. Once you have your Logos, numbers, colors and template, email us and we will send you a template for approval before purchase. 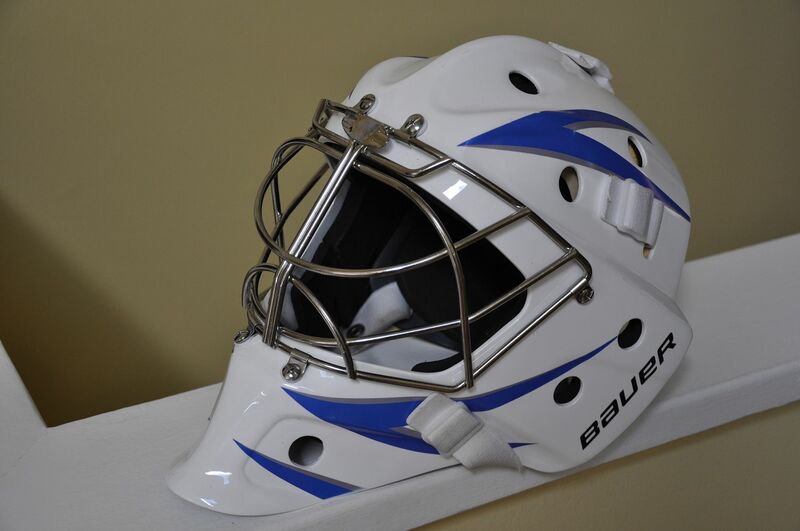 Welcome to the new create your own mask option by Custom Cages. Due to the over whelming demand from customers for a custom option on designs it only made sense for us to come up with this idea. 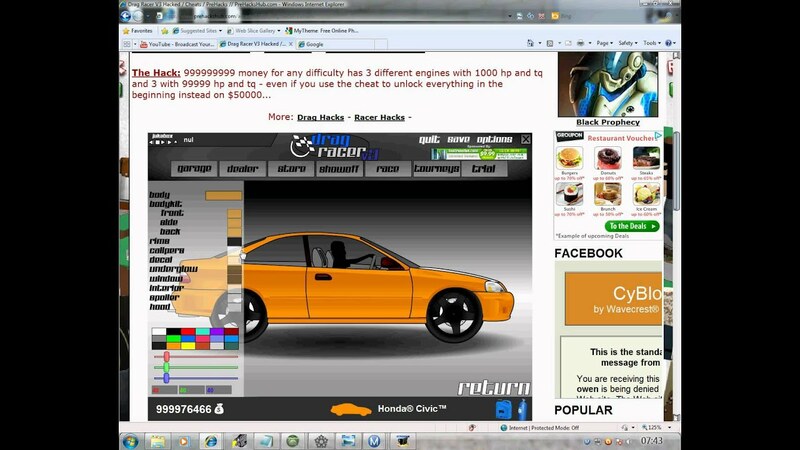 It allows customers to add color schemes, graphics, custom numbers and nick names to a variety of templates that we have provided. SO LETS GET STARTED! ASK US ABOUT OUR TWO-PIECE TOP! easy to apply and looks good on any kit. pICK A # OR NAME yOU CAN ALSO PICK ANOTHER LOGO IF YOU WANT TO. iF YOU WANT TO HAVE BOTH, WE CAN TRY AND INCORPORATE THAT AS WELL, JUST MAKE SURE TO SEND US MULTIPLE FILES AND EXPLAIN HOW YOU WANT THEM INTEGRATED. *SOME KITS HAVE (CUSTOM CAGES) BRANDING DOWN THE TOP. YOU HAVE THE CHOICE TO LEAVE THIS ON OR TAKE THIS OFF.